Last financial year, two-thirds of the Fair Work Ombudsman’s court cases involved alleged record-keeping or pay slip contraventions, and the regulator notes a significant spike in penalties received. According to its annual report for 2016-17, the FWO issued 665 infringement notices last financial year, up from 573 in 2015-16. 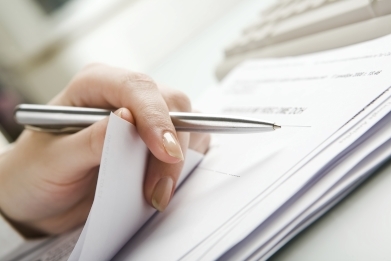 These are on-the-spot penalties for record-keeping or pay slip contraventions. The FWO initiated 55 civil penalty litigations in the same reporting period, 50 matters were decided, resulting in over $4.8 million court-ordered penalties. As at 30 June 2017, the FWO had 101 matters before the courts. The bulk - 75 per cent - of litigations initiated concerned wages and conditions. Of these, 73 per cent also alleged pay slip and record-keeping contraventions. In 19 matters, record keeping was so poor, the FWO was unable to calculate all or some of the underpayments owed to employees. Further, about $333,000 in unpaid wages was recovered through 192 compliance notices issued in 2016-17. Compliance notices formally require a person to fix alleged entitlement-based breaches of the Fair Work Act. In addition, over $5.2 million in back-payments were recovered through enforceable undertakings last financial year. Each of these items, particularly record-keeping, are persistently high on the compliance targets agenda for the FWO, including for the current financial year. “We see far too many cases of businesses failing to get the basics right when it comes to record-keeping and regrettably it’s often workers who get hit the hardest as a lack of accurate records can make it difficult to determine if they have received their correct entitlements,” said Fair Work Ombudsman Natalie James.